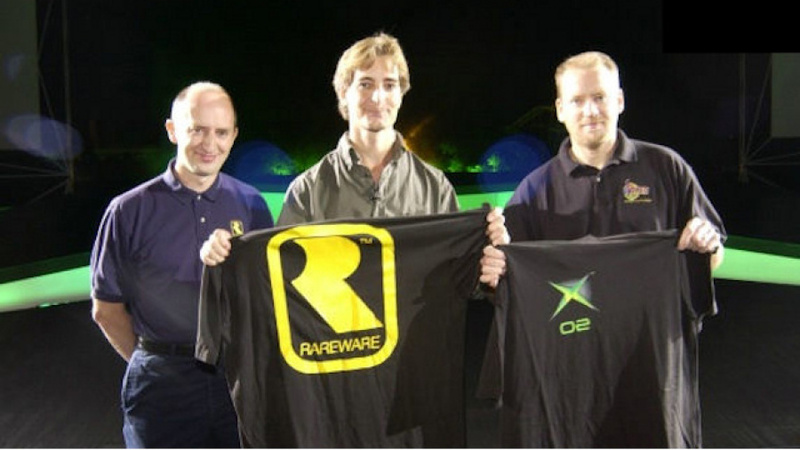 As any self-respecting Nintendo fan will know, Chris and Tim Stamper are the siblings who formed famous UK studio Rare. Once part of the Nintendo family and responsible for such hits as Donkey Kong Country, GoldenEye 007 and Banjo Kazooie, Rare is now under the wing of Microsoft — and the Stampers have long since departed to engage in other pursuits. In Tim's case, that's helping to launch a new mobile gaming studio called FortuneFish. Based in Nottingham, the company has yet to reveal its début release and is currently accepting job applications from graduates. Tim Stamper is registered as one of the directors of this company, as is Joe Stamper — who is presumably his son, as his date of birth is listed as 1987. While the studio is based in Nottingham, FortuneFish's registered office is located in nearby Ashby-de-la-Zouch — the same town where Tim and Chris founded Ashby Computers & Graphics Ltd. in 1985, otherwise known as Ultimate Play the Game. That very same firm would later become Rare and would forge a long and profitable relationship with Nintendo, eventually becoming a second-party studio working exclusively on Nintendo systems. In 2002 Microsoft purchased the studio outright, and continues to own Rare to this day. Given FortuneFish's focus on mobile phone games, it's unlikely that any of its titles will reach Nintendo formats — but you never know. Perhaps with Tim on the board of directors, we could see a Stamper-made game on our Wii U or 3DS systems in the near future. Thanks to John Pickford and Wesley Mackinder for the tip. Should i care about this guy? @midnafanboy The co-founder of Rare? Yes, we should! @Oragami Why?I take it back maybe i should care. @midnafanboy Because he also ran Rare, with his brother, through its glory days in the late '80s and through its period as a second-party for Nintendo. All those old school Rare guys just floating out there without a company to attach to. Wow exciting news, great to see that his son (presumably) is taking after his Dad, it's just a shame that they're making games for pooey mobile phones instead of real consoles. Although hopefully it's just a temporary thing to get going and then they'll make games for consoles. @ThomasBW84 Oh damn i just learned something today thank you thomas.Cause i did not anything about these guys except they made golden eye and donkey kong country.I feel bad now cause of my stupid comment. What are they holding? Looks like T-shirts but the are the size of a tent. And what is that under the Xbox logo? @midnafanboy Don't worry, be pleased cos you've just learned about the importance of one of the most legendary development studios ever, I seriously recommend you read about their story and general brilliantness! You can stop when you get to the Microsoft part though, that's when it gets sad, basically Microsoft forcibly bought Rare and destroyed them, but while they were with Nintendo they were wonderful so check them out. The Stamper Bros. at Ultimate Play The Game were essential in development the early British 8 bit home computer scene. They set the standard and produced 100% machine coded and original arcade quality games software when other companies were churning out really awful shovelware They were also the first Western company to notice a quirky new Japanese home console called the Famicom and the threat it posed to their existing business. They sold the Ultimate trademark to Ocean, started Rare and met the challenge. Maybe FortuneFish will "get the band back together"? Also some of the Free Radical people. @Squashy The brothers were (and no doubt still are) notoriously secretive, so no, there aren't any images from the Nintendo era that we could have used, sadly. @ecco6t9 Free Radical - now Crytek UK - is based in Nottingham as well. @b_willers It's 02 under the logo so that picture must have been taken when Rare were bought by Microsoft in 2002. @ecco6t9 Wouldn't it be great if all the old Rare talent now joins this company and they team up with Nintendo to buy back Rare, therefore kicking all the Microsoft riff raff out of the Rare headquarters and moving back in to make brilliant games again and live happily ever after! Ahh, a wonderful thing that would be, just like a gaming fairytale hehe. So instead of song the right thing and going to Nintendo or Sony they're stupidly slung mobile games to try and cash in on hype? Man I hope they meet tyne success that they deserve for this silly decision. I would care but its past the point I do. Rare made my childhood with their awesome games. Then Microsoft bought rare and it's been the downfall of what was one of the best companies in gaming. I have not been following him but if he is making mobile games now it is not something most here will care for. So unless it is a game that is good I could care less. And this is coming from a man who loved his companies games. Ah when I first saw the article I was really happy and was excited that he was to be producing games for Nintendo again. But then my heart sank when I realised they were focusing on mobile games. Just like many other start ups now days. That t shirt 'xbox 02' yeah I remember now that's the year the real rare died now you got these phonies calling themselves rare making kinect sports. @Damo Oh I see, I know about them being famously secretive, but I didn't realise that photos of them are that scarce! Speaking of Free Radical, do you know if any of the Free Radical guys are still there at Crytek UK out of interest? I was ecstatic until I read "mobile gaming studio". Mobile Gaming??? AWWWW come on man! BACK IN THE...(adjusts laurel) GAME! Why did you have to rattle me with those last 2 sentences!? Now I want a Rare game. I hate you!!! I'm sick of ignorant users talking as if all that's on mobile devices is utter crap. There are some really great games on phones and I hope Tim Stamper can improve the industry's look from people like the average Nintendo Lifer. Co-founder Rareware? Yes! Mobile gaming studio? No! Mobile games are our future! There have been a lot (or maybe just a few) of bad software releases for the eshop; You know, shovelware? I think some people need to read a brief history of Nintendo (or maybe just Rare). This is something that I'm not sure how to feel about. I guess it's cool? Mobile games - something I never play. Don't get me wrong; I've downloaded and tried tons of mobile games over the years, but I have yet to get one that truly captures my attention and brings me away from my home/handheld consoles. Still, I'll put my faith into them and hope that they produce something as quality as Donkey Kong 64 or Banjo-Kazooie/tooie. I never was a fan of Donkey Kong Country if I'm being honest; I'm not sure why. @midnafanboy You know, you can delete your comment. YW. @Gamecubii-64DD Why? I know what i said i can't change that.I might as well live with it. @Gamecubii-64DD One more thing why in gods name should i give you a thank you? I know i can delete my comment, but i'm sticking with it cause i said it.Thanks for wasting your time with giving me an option, i know i can do old sport. @midnafanboy You're kidding right? Of course we should! This is the dude behind Rare! One of the greatest devs out there atleast back then. Never I'll forget Donkey Kong Country man! Damm I wish Tim goes to Nintendo instead of phones cause I know Tim can make phone games really good! Does he have a tape recording of the prime minister throwing a reporter off a roof? This is decent news, but I won't get excited until FortuneFish makes an actual 'game' and not an app, Chris Stamper gets back into the business, and FortuneFish becomes Nintendo 2nd party and creates something Rareware-Worthy. @Artwark Did you read my other comments that i felt bad that i said that or you just immediately replied to the first comment. Which i feel bad for saying and i know the error of my ways. Can't Nintendo afford to at least buy back all the old Rare IP's from Microsoft, if not the actual name? They're just begging to be revived on the 3DS and Wii U.
Mario Kart 8 launched not even two months ago and I'm already ready for Diddy Kong Racing 2, including the old Rare characters. @90sRetroGaming I doubt that Microsoft will give them away, even though they are doing basicly nothing (good) with them. Its the same with Capcom and MegaMan for instance. They themselfes have no idea what to do with their stuff and yet, probably fear to give these IPs away to be shown how to handle them properly. And let me tell you, if theres a Company who could use the money comming from such a deal, its capcom. And although i probably get much flak for this: I highly doubt that anything Rare these days is really worth caring about without working together with Nintendo. All they did under Microsoft where titles with much potential, that never really went anywhere. Sure, it could be Microsoft themselfes having too much influence over them, who knows. The only thing that we know is, that they havent done anything worthwhile since the departure from Nintendo. So it also could have very well been Nintendo pushing the exact right buttons for these devs to work their magic. The moment FortuneFish starts collaborating with Nintendo again is the moment, i start caring. Lets just see if these guys do the same magic on a more indipendant level or if it just works with Nintendo at their sides. Since 1999, Rare employee's have been spread to like 10 companies. People started to quit Rare before MS bought them, but even more quitted when MS took over. There isn't many original members left. Rare have been Dead since N64 days if you looks what they done since N64. Rare made more games for N64 in 3-4 years than they did for MS in 12 years. Some of the best games ever made was by Rare for the N64. One of the reasons why the N64 is my favorite gaming system. Would love to see a come back even if it's under a new company name. Oh yeah, as for mobile games... blah! I prefer Nintendo or PC gaming. This news brought a joyful tear to my eye.Shame that they're mobile-focused, but never say never I say, we may yet get some Rarey goodness on our GamePads. I know there's potentially a lot of money in mobile games but ya know, I still like playing games that aren't all about poking and swiping a screen to collect +1 stats and virtual currently so I can buy a couple of extra hats for my character or plants for my garden or whatever. I'm stuck making crappy mobile games because I can't afford to make proper console games but most of these guys have plenty of money, resources and influence so this just seems pretty lame imo. @WillMelnyk: Yes, they did a good deal. I think Nintendo also sold them because many key people quitted at Rare when Perfect Dark was finished. Microsoft don't use Rare's IP's much. They will re-release the N64 Banjo games on Xbone, but almost all Rare IP's is dead. Actually Killer Instinct is on Xbone too, but not made by Rare. Is that tip courtesy of John Pickford of Ste and John Pickford? If so, that's about as awesome as the article itself. "Tim Stamper is back in the industry..."
I'm still waiting for Banjo-Threeie. I'd like Nintendo to pick up a couple of great IPs like Mega Man from Capcom, or Rare's share of IPs; but in all honesty, Nintendo can't even support their own IPs. Where's F-Zero? Where's Earthbound? Where's Metroid? At least we know Star Fox is coming. P.S. I know the creator of Earthbound said he doesn't want to make a new one, but there's simply too many fans who want one. Oh how I wish Nintendo never sold Rare. So many great games were created under Rareware's dominance!! Oh how I wish these brothers would make titles for Nintendo again. Mobile games, and nothing else. Had many good times with my N64 during my childhood, and much of that was thanks this man right here! Good to see him back in the games industry, even if it is only mobile. "Given FortuneFish's focus on mobile phone games"
Tim is a computer enginreering genius of his day. Not sure his skills will do him quite as much good in the modern age, but his management experience sure will. Interesting if the company really is run by his son, at age 26/27. That's when the Stampers were in their prime too, so not to pressure the guy, but I expect great things.